These sessions are part of our requirement to meet federally mandated Violence Against Women Act (VAWA) guidelines. By providing bystander intervention training to our faculty, staff and students, we contribute to a larger community initiative headed by the Community Partnership of the Ozarks, in collaboration with Drury, MSU, Evangel and OTC. 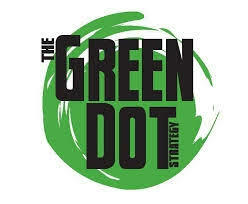 Come and find out what Green Dot is all about and how you can become part of the national movement to prevent sexual and interpersonal violence. To reserve a seat, please visit this page.